Thee Headcoats were mainly Billy Childish (Git/Vox) Bruce Brand (Drums) and Johnny Johnson (bass), they formed in 1989 after Billy's previous band Thee Mighty Caesers gave up the ghost. By 1992 they had already released something like 6 albums and 15 singles. 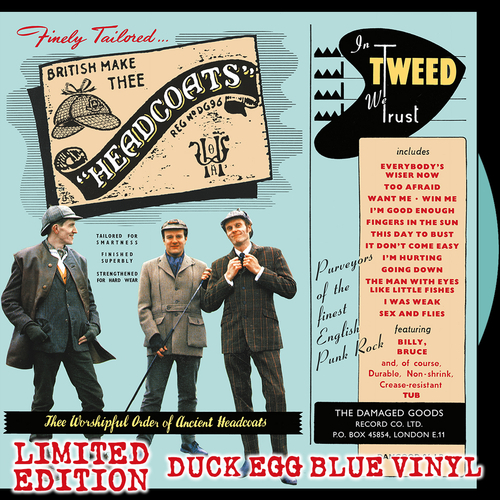 Lots more releases followed including this great LP In Tweed We Trust originally released in 1996, the follow up to the equally great Conundrum. Thee Headcoats carried on touring and releasing records in every corner of the world until mid 2000 when they called it a day.